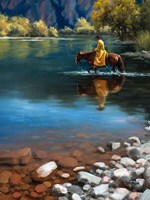 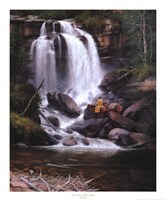 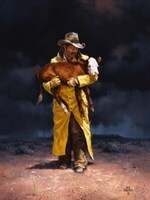 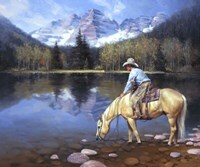 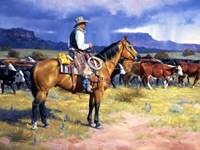 Jack Sorenson grew up living the scenes of the wild West that he paints today. 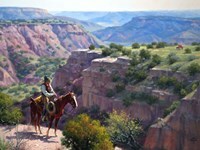 As a kid in Texas he roamed at will through Six Gun City, an Old West frontier town and tourist attraction that his dad built near the Palo Duro Canyon. 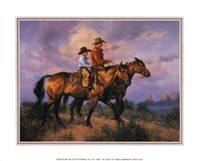 As soon as he was old enough, daddy put him to work as a gunslinger and stagecoach driver. 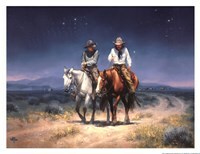 "How many people today can say they’ve been run over by a stagecoach?" 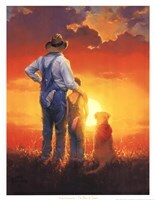 he asks. 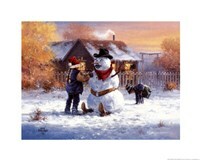 "I have! 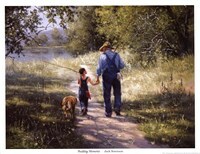 "Jack’s love of art is similarly deep-rooted. 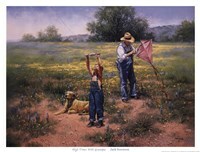 "At the age of six I announced to my family that I was going to be a professional artist," he recalls. 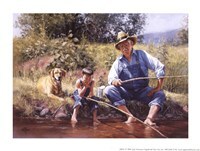 "As a boy I spent most of my free time sketching. 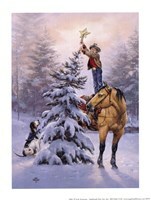 . . dogs, trees, wagons, people and horses—especially horses. 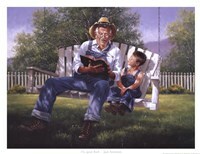 It’s like a preacher being called—it’s what I am supposed to do. 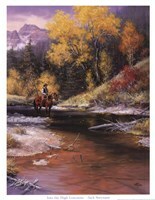 "After Jack’s first one-man show sold out in 1975, he quit his day job as a horse-breaker and began painting full-time. 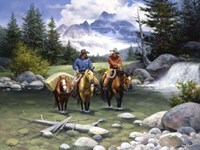 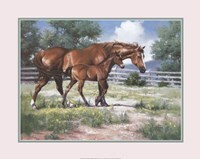 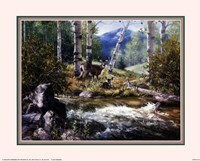 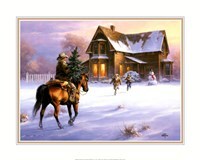 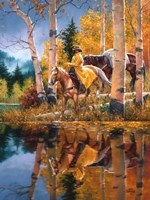 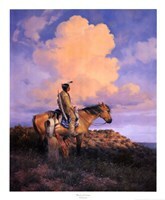 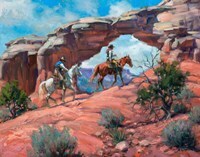 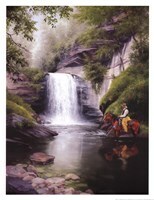 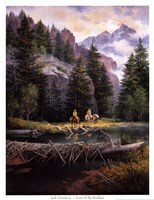 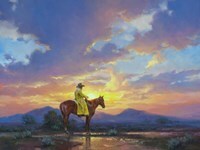 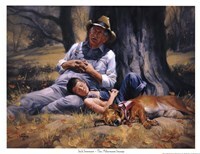 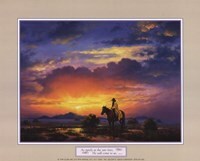 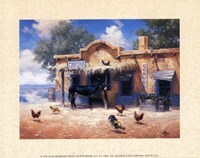 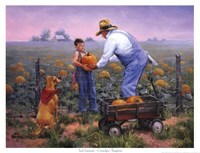 Today his paintings hang in numerous private and corporate collections, and he ranks as one of Leanin’ Tree’s best-selling Western greeting card artists. 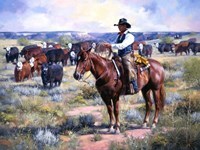 Harvest House has published two books featuring his paintings and Jack’s work has also graced the covers of Western Horseman, the Quarter Horse Journal and The Cattleman.Jack credits his success as an artist in part to the fact that he is a storyteller. 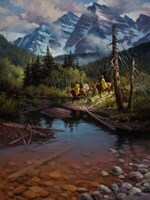 "I believe that great paintings should tell a story and involve the viewer," he explains. 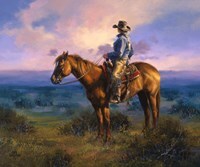 "So much of Western art today is basically a cowboy or Indian riding through a Western landscape. 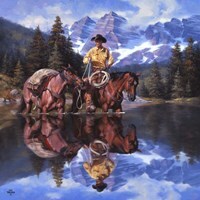 We have the opportunity as artists to do so much more."